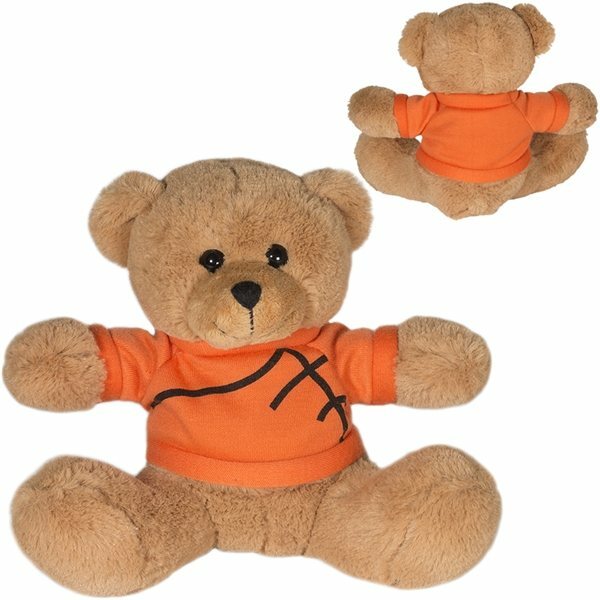 Adorable brown plush bear wearing GameTime!® sport themed T-shirts. Available in your choice of Football, Baseball, Basketball, and Soccer ball stock art. 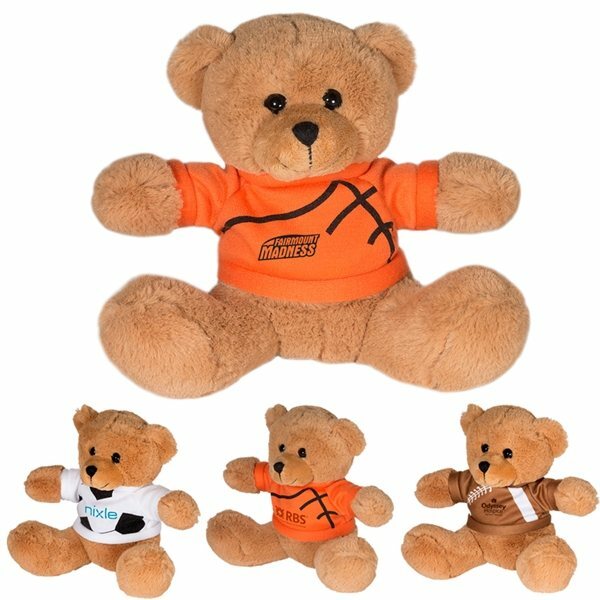 GameTime!® sports stock art comes pre-printed on the front of each shirt, add your logo to complete the message. 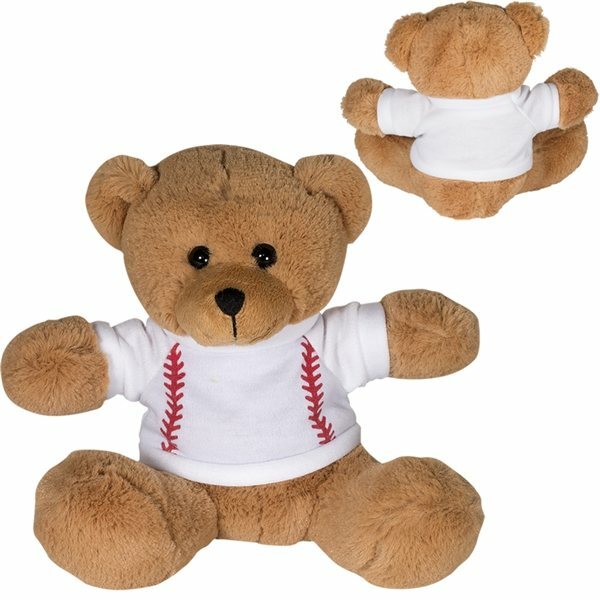 Teddy bears feature logo on the T-shirt only. No decoration available directly on the plush animals. **Shipping available to U.S. and Canada addresses only**.